How do I Cancel a Transaction on Bonanza? When can a transaction be canceled? How can I request to cancel my order? How can I request a fee refund for a canceled transaction? Only sellers may cancel transactions (for buyers interested in requesting a cancelation, see below). Canceling a transaction and refunding the buyer are the same. Sellers agree to complete valid transactions, but on occasion, a seller may need to cancel a transaction. Both the buyer and seller agree to cancel the transaction prior to shipment, and the seller has issued the buyer a full refund. The seller has decided to refuse service to the buyer. If the buyer has already paid, the seller has issued a full refund, including shipping (if applicable). The buyer did not receive the product(s) ordered, even though the seller has provided proof of shipping, and the seller has issued a refund for the item. The buyer and seller agreed that the buyer could return the item to the seller for a refund. The seller has received the returned item and issued a refund to the buyer for the item. If you're unable to complete a transaction, you must notify the buyer via Bonanza Bmail and refund the transaction via the payment method the buyer used during checkout. Sellers are encouraged to keep proof of any refunds in the event a dispute arises. Sellers may accept returns, but in most cases are not required to do so unless they state they do in their booth policies or are required by local laws. Buyers should read sellers' booth policies carefully and contact sellers before shipping a return. If a buyer would like to request cancellation, the buyer should ask the seller via Bmail (aka The Bonanza email system). 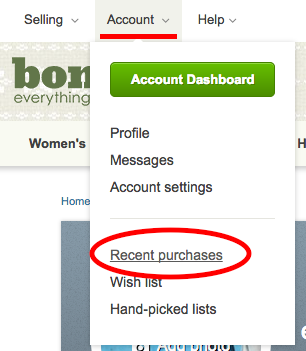 Point your mouse over the "Account" link in the upper left-hand corner of any page and select "Recent purchases" from the drop down. 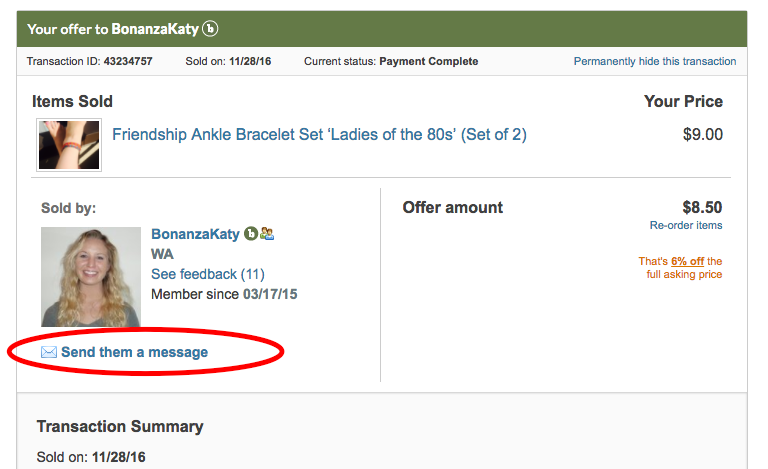 Locate the order you wish to request a cancelation for, then use the "Send them a message" link under the seller's username to contact the seller directly with a request to cancel your order. Messages sent via Bonanza are delivered directly to the seller's email address. Sellers typically reply within 24-48 hours (often much sooner than that). How you refund your buyer depends on how your buyer paid. Bonanza Gift Cards cannot be refunded. You would need to issue a direct refund via PayPal or another acceptable payment method. Do not use the "Refund" link in your PayPal payment receipt. PayPal refunds can be issued for 180 days. Follow these instructions for details on how to issue a refund via PayPal. If the payment is more than 180 days old, you will not be able to issue a refund. You must use the "Send money" option on PayPal to send the buyer the refund amount. You can use the Manage Orders feature in your Amazon Seller Central to issue full or partial refunds. Follow these instructions for details on how to issue a refund via Amazon Pay. Refunds can be managed directly from your Stripe dashboard. Follow these instructions for details on how to issue a refund via Stripe. Sellers have up to 90 days from the date of the transaction to request refunds on the final value fees. You must issue the buyer a refund prior to requesting a refund of final value fees for the canceled transaction. 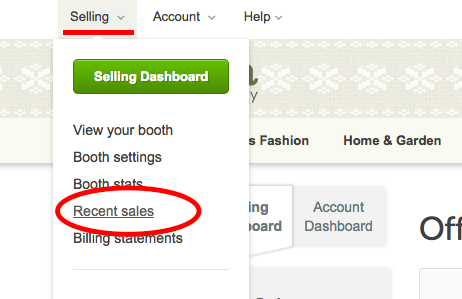 Point your mouse over the "Selling" link in the upper left-hand corner of any page and select "Recent sales" from the drop down. 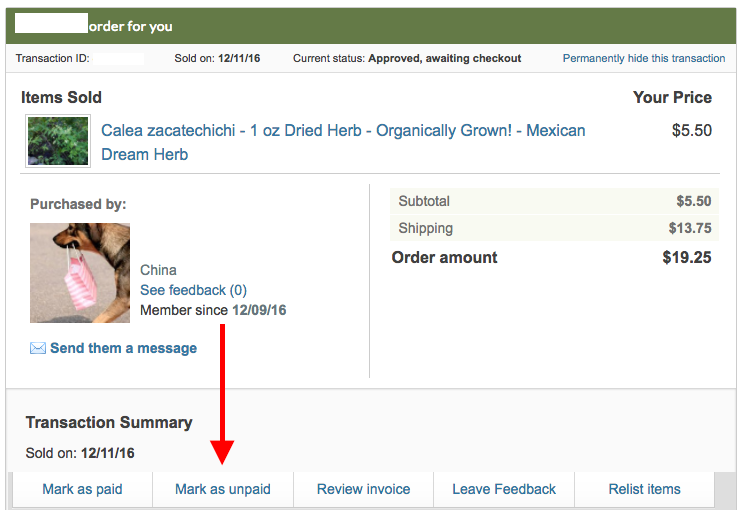 Locate the order in question, and use the "Mark as Unpaid" link under the transaction summary. This option appears 7 days after the transaction has been recorded. Once you mark the transaction as unpaid, the item will be automatically relisted. If you do not want the item to be relisted, then make sure that you delete it from your booth afterward. 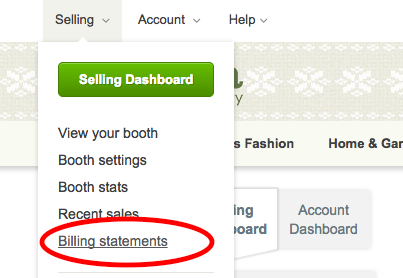 Go to your "Selling > Billing statements" page and click into the month the transaction took place. Click the red "x" next to the order that has been refunded and follow the prompts to request a refund of fees for the transaction. Select the appropriate offer from the drop down. If we are able to confirm the refund to the buyer, you can proceed with submitting your request. 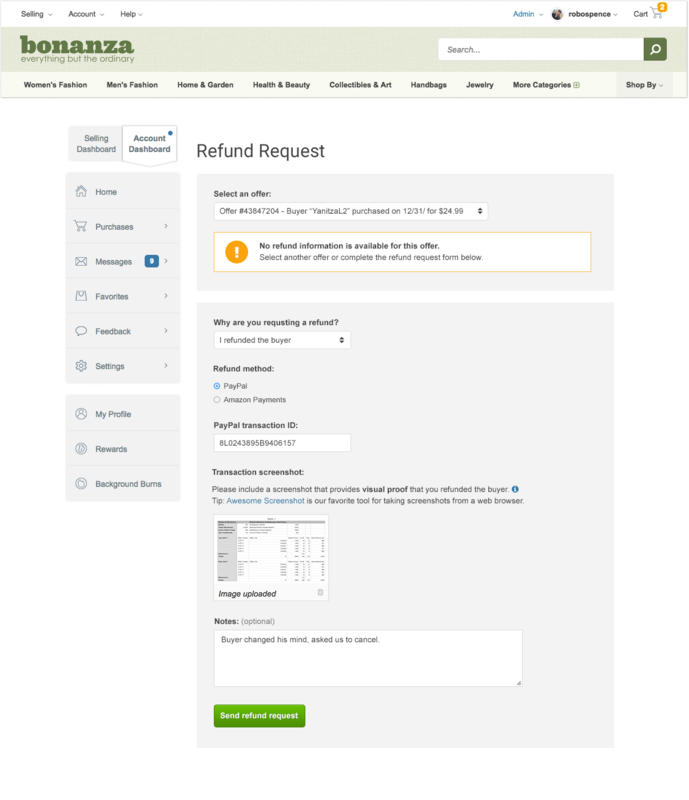 You can also include additional notes regarding your fee refund request. Fee refunds are typically processed within 24-48 hours. Please contact our world class award winning support team (we're biased) with the transaction ID # and a copy of the refund confirmation to the buyer along with the reason for the refund. Our staff will review and issue the credit to your account, usually within 48 hours. In some cases, we will request more information prior to issuing the credit.